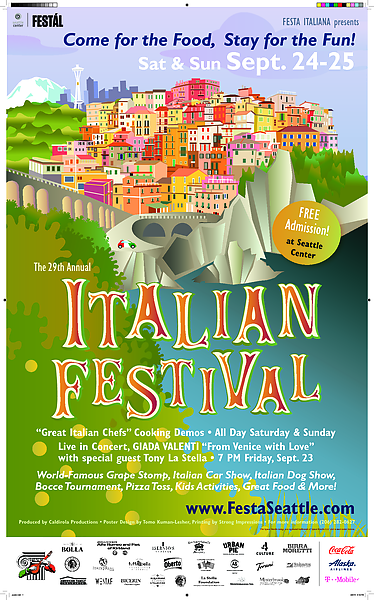 It is with a great deal of pride that we at Festa Italiana, now in our 32nd year, point out that what we celebrate boils down to certain fundamentals: God, family, community and a love of our country mixed with nostalgia for the old country that was home to our ancestors. 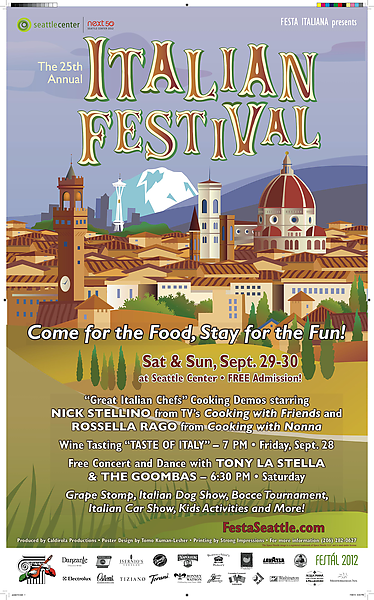 We also have the good fortune to share a cultural heritage that emphasizes family gathered at home sharing good food together. 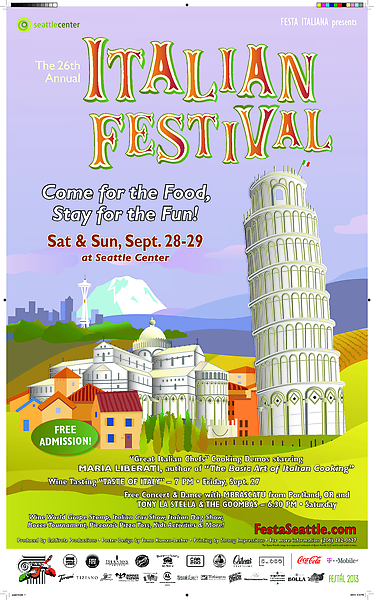 With that in mind, once again, we’d like to thank our volunteers. 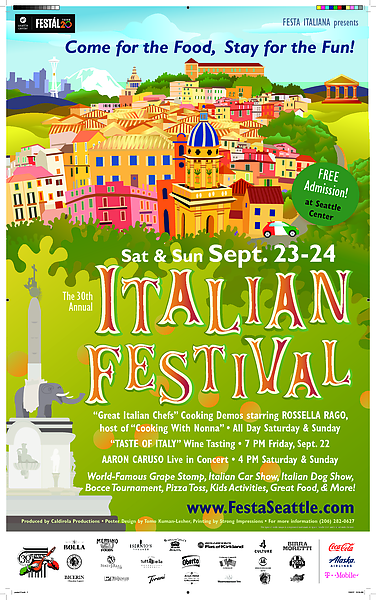 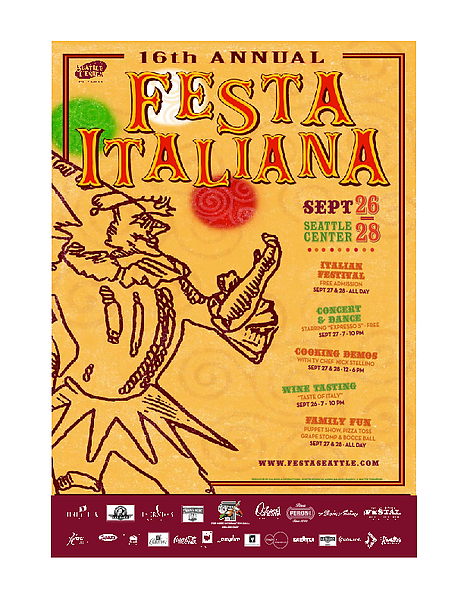 Festa Italiana is a completely volunteer – driven, 501(c) (not-for-profit) organization, and a festival of this magnitude can only be produced by community support and financial generosity. 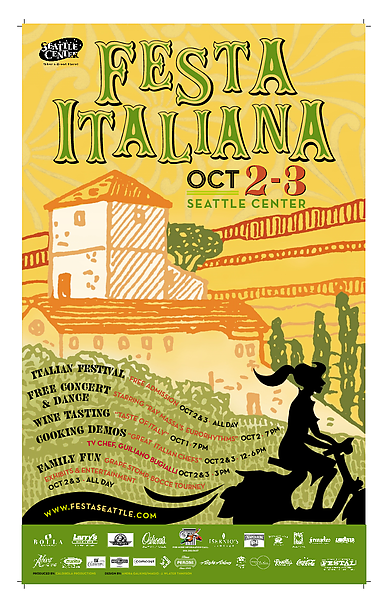 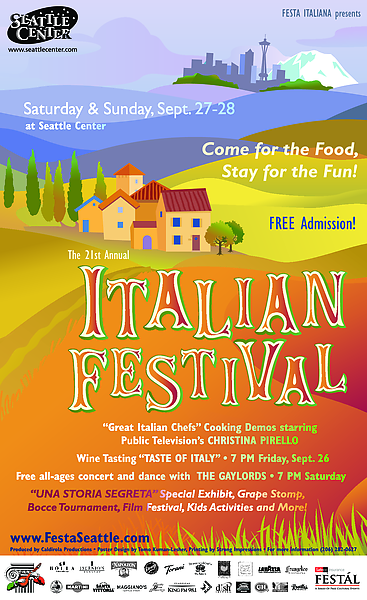 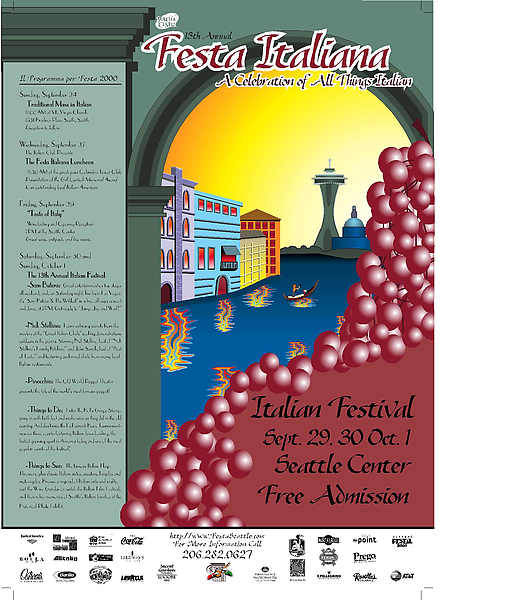 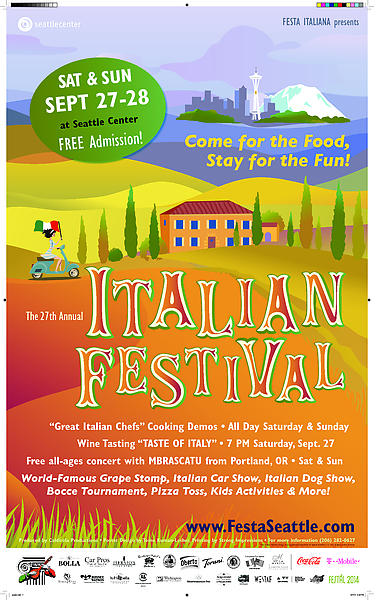 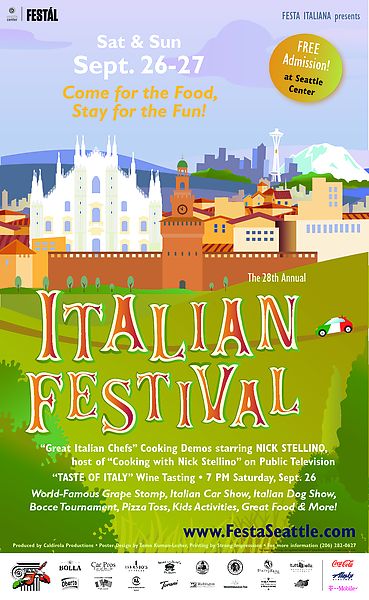 Whether your contribution is donating your time or some badly needed cash, it is a vital building block of Festa Italiana Seattle, so THANK YOU for your donations and your enthusiasm! 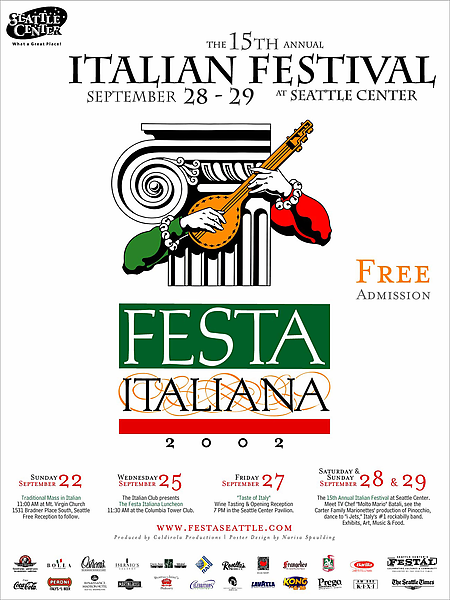 A few posters from the last 30 years.